When he served as the first Prime Minister of independent India from 1947 until his death in 1964, Jawaharlal Nehru lived in Teen Murti Bhawan in New Delhi, a palatial residence originally built for the British Commander in Chief of India. Teen Murti Bhawan sits on a large landscaped plot due south of the president’s palace (Rashtrapati Bhawan), formerly the Viceroy’s House. A long circular drive leads from the compound gate to Teen Murti house itself. Behind the house is a formal garden planted with rose bushes. After Nehru’s death, the house was preserved as a memorial to the man and his times, the Nehru Memorial Museum and Library. Schoolchildren flock to the free museum, tramping through the big house’s empty corridors and taking in a show in Hindi or English at the planetarium on the grounds (built after Nehru’s death). Behind and to the east of the house, tucked in among the trees, is a remarkable research institution, the library of the Nehru Memorial Museum and Library. Housed in a modern concrete building with dark wood paneling on the interior, the Nehru Library has an elite air, fitting for a place established in memory of wealthy, England-educated Nehru. 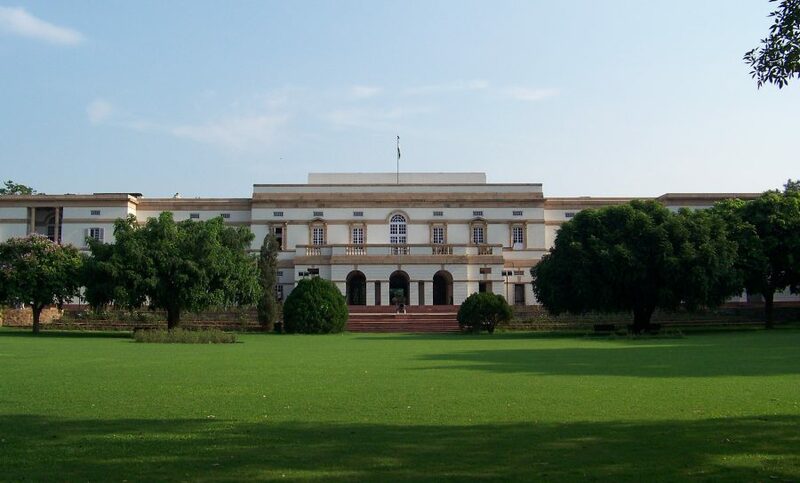 The regular collection of the library is focused on modern India, and the Nehru Library is without a doubt one of the best places in India to study the late colonial and independence periods. In the back of the library, reached by its own stairway, there is also a small reading room for the library’s archival division, which is supposed to hold the world’s largest collection of manuscripts related to modern India. The lobby of the library sometimes hosts public exhibitions, but the main stacks are only open to serious researchers, who have to apply for a membership and pay a nominal fee. (When I did some research for my dissertation at NMML two years ago, I paid Rs. 300 for a two-month membership. There are also options of a one-week membership for Rs. 100 and six months for Rs. 500.) Getting permission to access the archives requires its own application, with a letter of introduction from the researcher’s home institution and a form from the researcher’s diplomatic mission in India (for international scholars; I used a photocopy of a form I got for the National Archives of India). The Nehru Library has open stacks, which is a rare treat in specialized research libraries. The archives, of course, are not open, and the holdings can only be accessed by filling out a request slip. Not all of the archival records are accessible even to legitimate scholars. The papers of Jawaharlal Nehru are only open to 1947. Nehru’s papers from his tenure as Prime Minister are off-limits because they are still classified. (The Indian government’s policy for declassification is not transparent. Even though Nehru has been dead for more than fifty years, his papers are kept out of public view because they theoretically still hold state secrets.) But scholars of modern India need not despair, because the papers of many other post-independence leaders are accessible. When I did my research at NMML, I ran into two challenges that made my work there harder than I expected it to be. The first was just getting there. Teen Murti Bhawan is located in the sprawling neighborhoods of colonial bungalows on the south side of Rajpath in New Delhi, an area that is poorly served by the city’s metro. I rode the 604 or 620 city buses from Sansad Marg (still sometimes called by its English name Parliament Street) to Teen Murti Circle, but the street was frequently blocked by sit-down protests staged by one or another disaffected part of the population. When that happened, the bus would be routed down a different street, and I never did figure out where. The other challenge was a result of my not understanding how government business works in India. The National Archives of India is closed for only a few holidays every year: Republic Day (January 26), Independence Day (August 15), Gandhi Jayanti (October 2), and the lunar festivals of Holi (February or March) and Diwali (October or November). NMML and most other offices are also closed on India’s many regular gazetted holidays, which are posted online on the official government calendar, but are not posted anywhere in the building itself. This was at least the case two years ago. I kept making the long trek to Teen Murti Bhawan only to find that the library was closed for a religious holiday celebrated by one of the minority communities. One day, the library was dark and empty for Mahavir Jayanti (Jainism), and the next it was closed for Good Friday (Christianity). If I had known to check for gazetted holidays, I could have planned accordingly and used my time better. These challenges aside, researching at the Nehru Memorial Museum and Library was a rewarding experience. The private papers I read at NMML provided a human counterpoint to the formal, technical documents I found at the National Archives. The landscaped setting of Teen Murti Bhawan was a refreshing place to research. When I needed a break from manuscripts, I could go walking outside. I enjoyed spending a few weeks at the Nehru Memorial Museum and Library while researching my dissertation, and I hope I get the chance to return there for a future project. 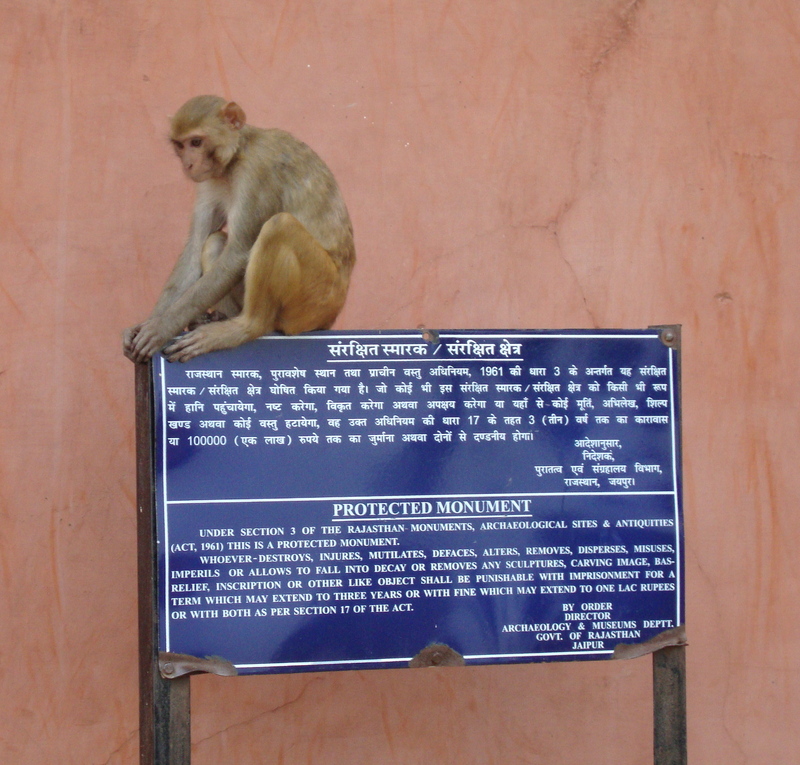 A rhesus macaque sits on a sign identifying the Sun Temple at Galta-ji (Jaipur) as a Rajasthan state protected monument. Last month, the Wikimedia Foundation staged a contest called Wiki Loves Monuments 2016. Users uploaded photos of national- and state-level protected monuments in participating countries (including India), and a jury would select the best photos in certain categories. On September 1, I found out about WLM 2016 when I looked at Wikimedia’s most popular website, Wikipedia. A banner below the search bar announced: “Photograph a monument, help Wikipedia, and win.” I was delighted. Although I held no illusions that any of my photos would win a prize, I felt as if this contest had been made for me, and I for it. 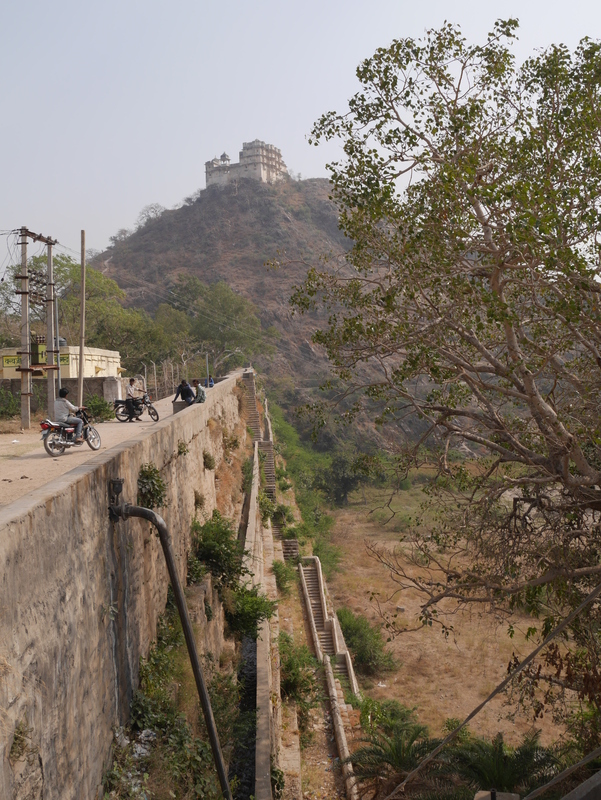 I’d spent the past year visiting all the protected monuments in Jaipur I could find. WLM 2016 gave me a reason to visit more of them. I went to some I had never seen before, and I also returned to some familiar monuments to take better pictures expressly for contribution to WLM 2016. 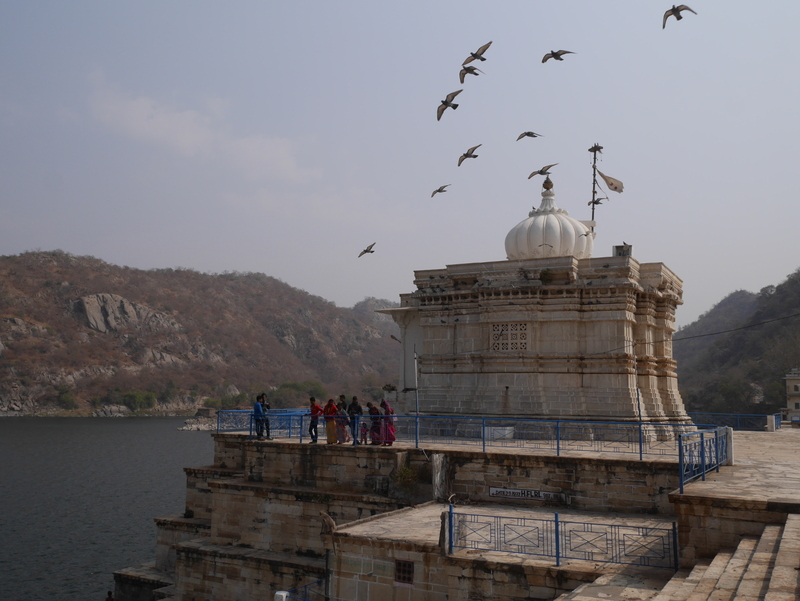 In all, I uploaded 31 pictures of 19 different monuments, all but three of which are in Jaipur. Wikipedia keeps state-by-state lists of the protected monuments in India. There are two lists for each state: one for the monuments protected by the Archaeological Survey of India (ASI), and the other for those under the jurisdiction of the state archeological departments. These lists are, unfortunately, rather muddled. Each monument has a distinct identifier, assigned by Wikipedia, identifying the state in which it is located and whether it is protected by ASI or the state. The monuments are organized by identifier, rather than a more sensible district-by-district arrangement. 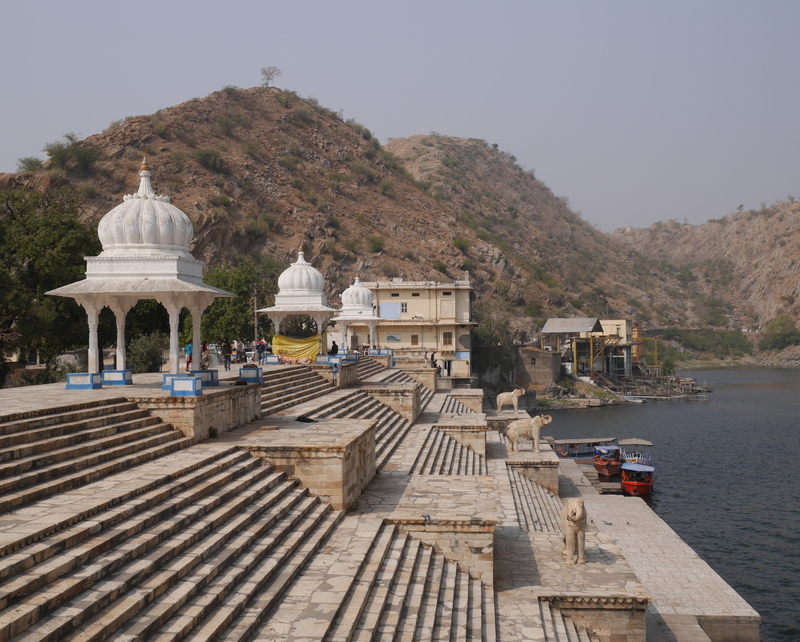 The state-level lists include only those monuments that are listed on the ASI site. (This is at least the case for Rajasthan.) The reason for this is that these are supposedly the only monuments that are recognized at the national level, but this distinction seems dubious to me. 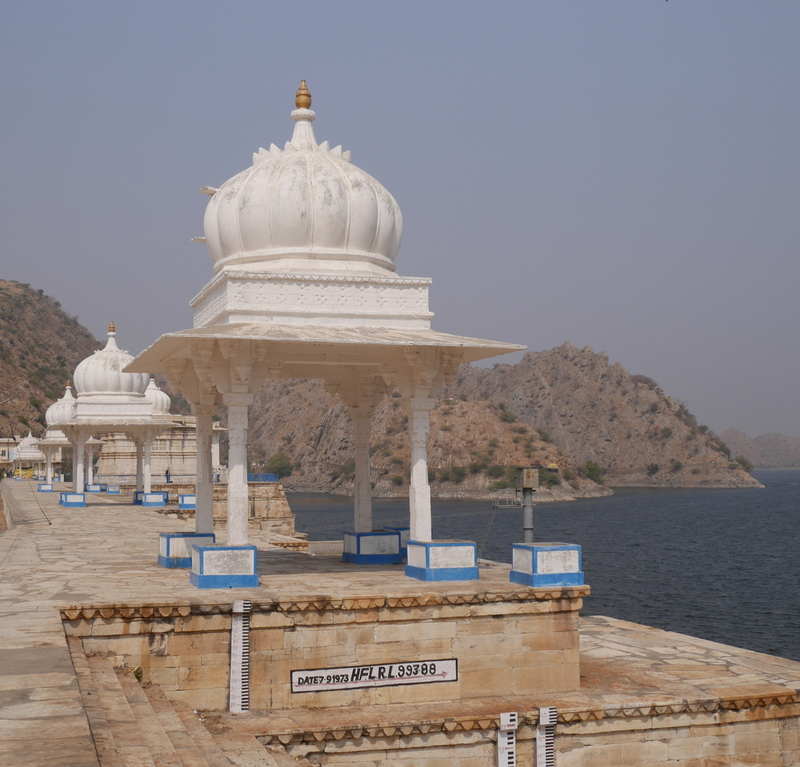 The Rajasthan state-level list for some reason repeats several monuments also on the ASI list. In past years, users had uploaded and tagged pictures of the wrong monuments. Two different ASI monuments were illustrated with pictures of the very modern Birla Mandir, which was consecrated in 1985 and has no archeological significance. Some of the confusion in the Rajasthan state-level list is due to the official list. Some monuments have non-standard names or spellings. Others are not described clearly enough to be identifiable. I am almost certain that one of the monuments in Jaipur that even made it onto the Wikipedia list, “Cenotaphs on Station Road,” does not exist anymore. The site indicated as a cremation ground on an old map is now occupied by modern buildings. The one thing that disappointed me about WLM 2016 was how incomplete the state-level list was for Rajasthan. I went out and photographed several attractive state-protected temples, but I couldn’t upload their pictures because they weren’t on Wikipedia’s purportedly official list. But I can upload them on my own website. So here they are, Internet! These are some of the state-protected monuments of Jaipur that WLM 2016 missed. All of them are in the old capital Amber. Backside of Panchmukhi Mahadev Temple. 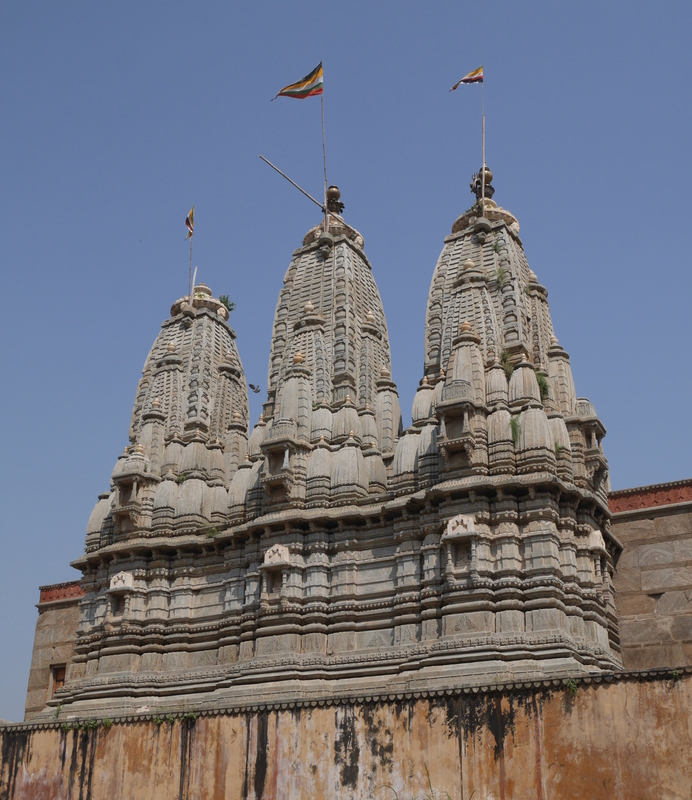 This is one of two temples in the town with three shikharas (spires) like this.